Today we look at Ohio State University edge rusher Nick Bosa. Nick Bosa is widely considered the best player in the 2019 NFL draft class. He's head and shoulders above every single edge rusher in the class, and this is a deep draft class for the position that features such names as Josh Allen, Brian Burns, Montez Sweat, Jachai Polite, and others. Even though the 49ers just traded for outside linebacker/defensive end Dee Ford, there are still signs they are looking to add a player from the list above and so far all signs point to Bosa potentially being that guy depending on what Arizona does with the first pick. Recently the 49ers have met with Bosa three times, once at his pro day, once for lunch and once for dinner that same day. They were also in attendance for the Alabama pro day and spent the evening having dinner at IHop with defensive tackle prospect Quinnen Williams. Could all of this be a smoke screen? Sure. But there is no reason to expect the 49ers to keep any of their plans secret while having the second overall pick because they are not in any real danger of a team swooping in to take one of the potentially top three targets on their list (My assumption here is their big board is 1) Bosa, 2) Williams, 3) probably Josh Allen). 49ers beat reporter Matt Maiocco was recently told by a member of an NFL team at Josh Allen's pro day that the 49ers are expected to take Bosa if he's there at number two. Bosa logged 17.5 career sacks and 29 tackles for a loss in his 29 career games. His junior season was cut short due to an abdominal injury two and half games into the season in a game against TCU. By that point he had already recorded four sacks in games against Oregon State, Rutgers, TCU. It's scary to think what he could have done with a full season and it's led some observers to question whether or not he is worth the risk as a high draft pick. The initial injury was described as a "core" injury (somewhere in the abdominal region) and it's one that he had surgery on to repair. His timetable, according to The Columbus Dispatch, would have had him returning to the field sometime in November of last season so the decision was made to withdraw from school in October and focus his training efforts on preparing for the NFL combine and NFL Draft. Per Pro Football Focus, he has a career win rate of 24.5% (win rate being defined as the snaps where he wins his rush against the blocker in front of him to get into the back field). For perspective, the top edge rushers in a given draft are only winning 17-18% of the time. In its run stop percentage metric, he boasted a 14.3% rate, which would've been the highest among edge defenders if he had enough qualifying snaps last season. Also per Pro Football Focus, pass rushing productivity at the college level strongly correlates to productivity at the NFL level. Nick Bosa's measurables from the NFL combine in relation to the rest of the defensive end class show a small-ish athlete but wins in drills that correlate best to his position (hand size, bench press for strength, 3-cone drill). Not shown is his 10 yard split of 1.55 seconds, better than some elite NFL pass rushers like Von Miller, Justin Houston, JJ Watt, and Cameron Jordan. Nick Bosa is listed as 6-foot-4 and 265lbs, the ideal height and weight for an edge rusher. On film, he doesn't look as big as Josh Allen but there's only an inch difference in height and their weights are similar. Bosa has a more compact frame than Allen and doesn't have the wingspan Allen does but that difference rarely shows up on film. 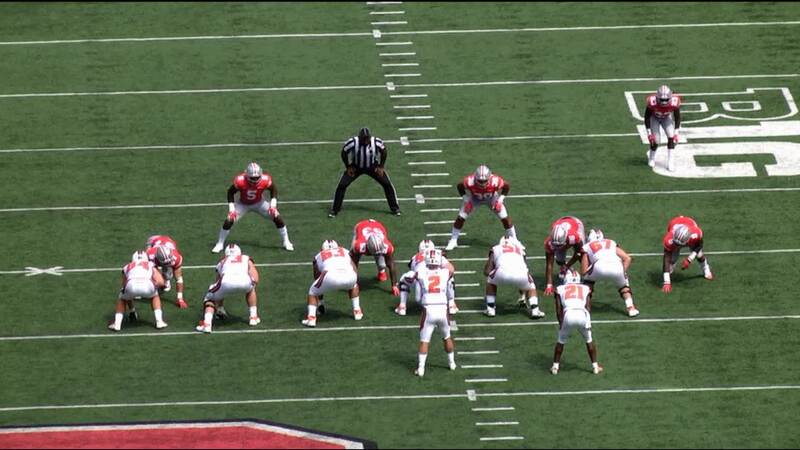 That compact frame allows Bosa to get up inside of an offensive tackle and shed them quite easily since his center of gravity is more compact. 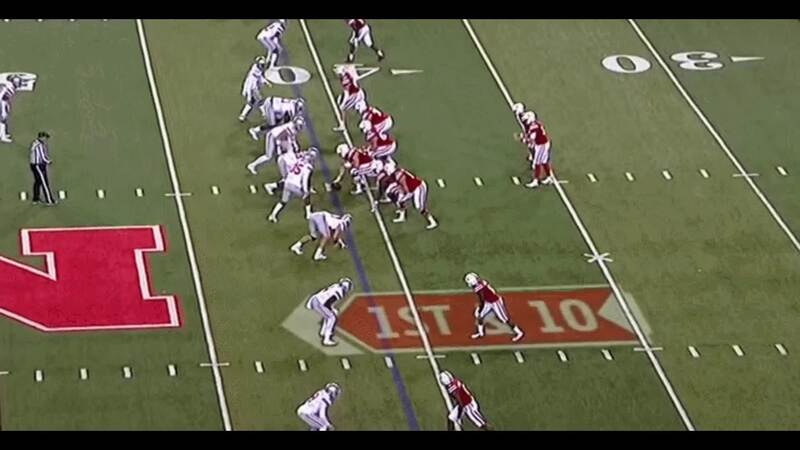 On this play, Bosa controls the Oregon State left tackle by getting inside the tackle and controlling the wrist and arm of the tackle's punch. Bosa engages very quickly, 2-hand swipes his opponent away, and quickly disengages and gets back outside to get to the quarterback. His play strength is also a phenomenal asset. It allows him to use a variety of moves to control the defender in front of him. 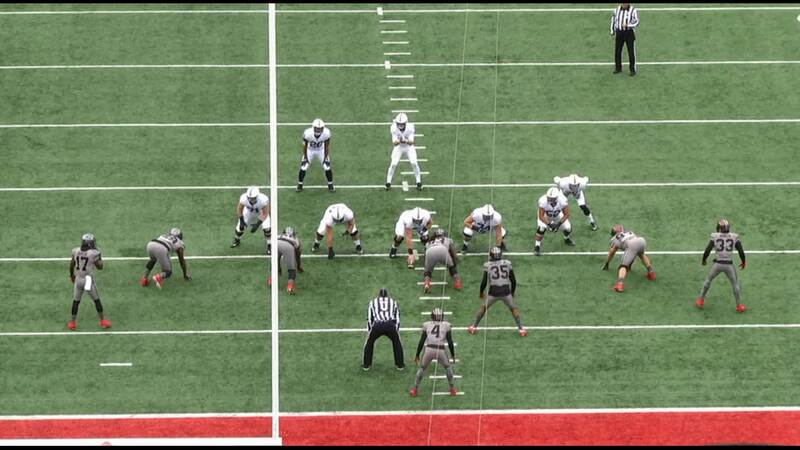 On this play, Bosa uses a simple a bull rush after determining he's not going to be able to get around the edge (he seemingly always has a plan for how he's going to attack the rush, more on that later). The tackle does not give any ground as he drops into his pass set and uses his outside foot to slide and take away Bosa's ability to rush the edge. 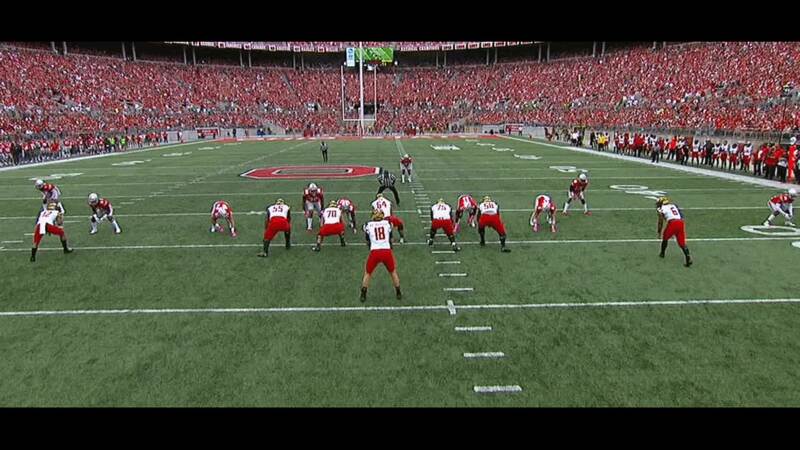 Instead, Bosa reacts by just shoving the tackle into the back field into the quarterback's lap. The quarterback rushes his throw and throws an incomplete pass. His strength also allows him to defeat triple team blocks, as seen above against 800-plus pounds of Rutgers offensive linemen. Perhaps more important than his size, strength, and speed is how he uses those traits to win with a variety of pass rushing moves. He utilizes a variety of moves like the cross chop, inside swim, 2-hand swats, wrong arm, and rip moves to great effect. 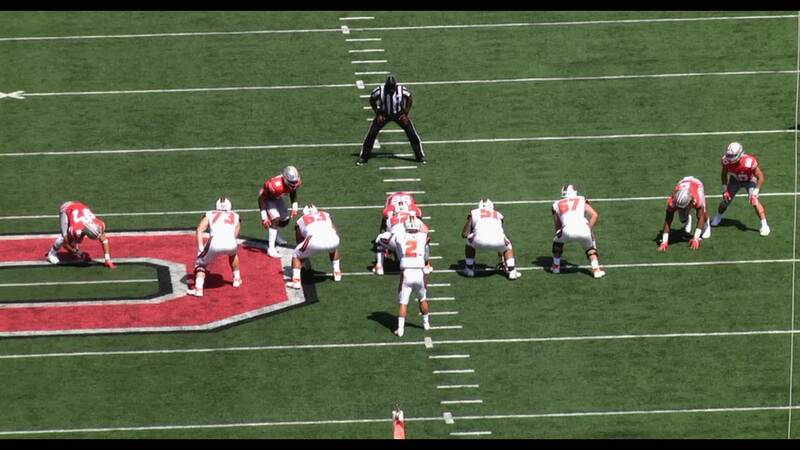 Here, Bosa effectively utilizes a "cross chop" or "chop and rip" technique to control the outside arm of the left tackle. The technique allows the edge rusher to use his inside arm to violently control the outside arm of the blocker by knocking the forearm away. The blocker is unable to control the rusher at that point and Bosa now has leverage by keeping his outside arm free of contact. Bosa gets by the blocker and forces the strip sack. Bosa also has an effective inside swim move he usually utilizes when he's beaten a blocker around the edge. The blocker anticipates Bosa rushing the outside edge again and Bosa sells that by giving a quick outside step toward that rush lane. 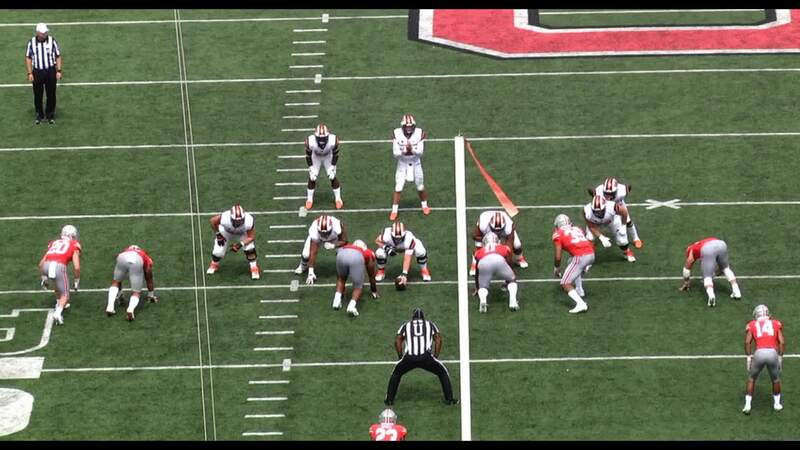 As soon as the blocker commits, Bosa executes an arm-over or swim technique to blow past the blocker and forces the quarterback to rush the throw. Swim moves are not the only way Bosa wins inside though. Bosa beat this tackle all day to the outside and started utilizing his tool box of inside moves. Here he uses an effective 2-hand swipe to get past the Oregon State tackle. A defensive lineman must have a variety of ways for defeating the blockers in front of him that try to kick out or seal them off. One way to defeat a kick out block or pulling defender is through the use of a "wrong arm" technique. The wrong arm technique is executed by the defender when the defender, seeing the pulling blocker approaching his gap, throws his up-field shoulder into the blocker's up-field/inside shoulder to disrupt the blocking and timing of the play and cause a pile up. As seen here, Bosa initiates a wrong arm technique by attacking the inside/upfield shoulder of the pulling center. He doesn't throw his shoulder into the center but instead shoves him to the ground. The chaos it causes is evident. The running back who took the fake doesn't block anyone and the tumbling center trips up quarterback Baker Mayfield who's trying to escape at that point. Bosa chases him down for sack. The wrong arm is effective against the run too as Bosa blows up the power blocking scheme of Maryland. 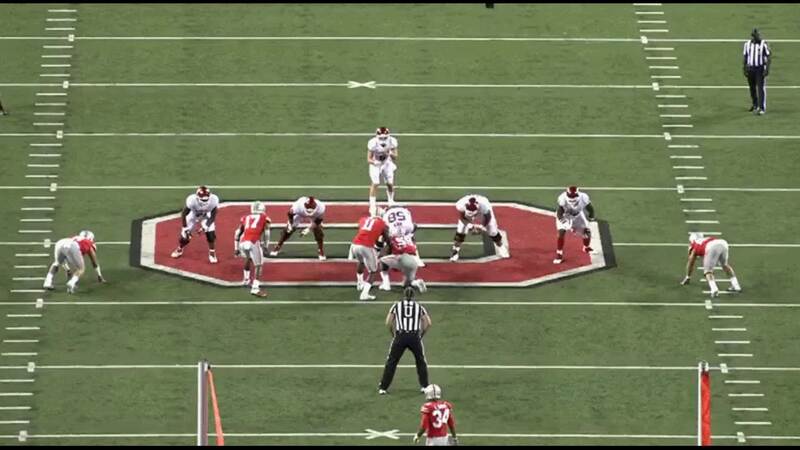 The wrong arm against the blocker clogs up the running lane and the running back is swallowed up by Bosa for a loss. 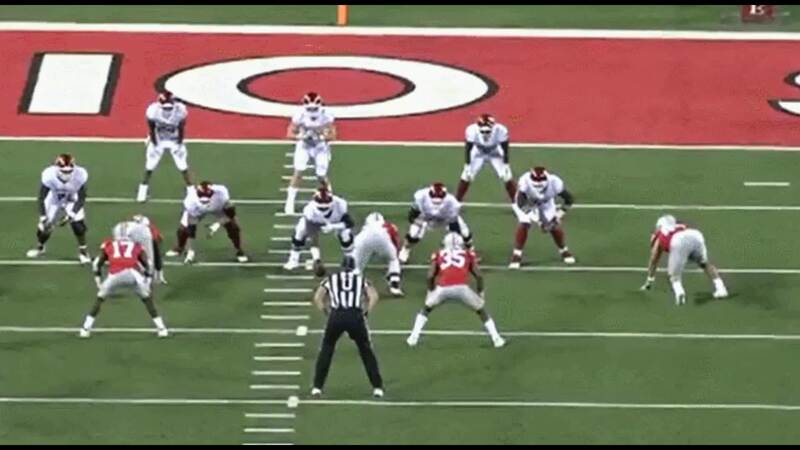 Lastly, an effective rip move is utilized by edge rushers who can bend the arc like Bosa does here. Bosa uses a rip move here against Oklahoma tackle and 2018 3rd round pick of the Ravens Orlando Brown. Bosa attacks the inside shoulder with a hard step inside and accelerates off that step to the edge. He first executes a 2-hand swipe to knock Brown off balance. 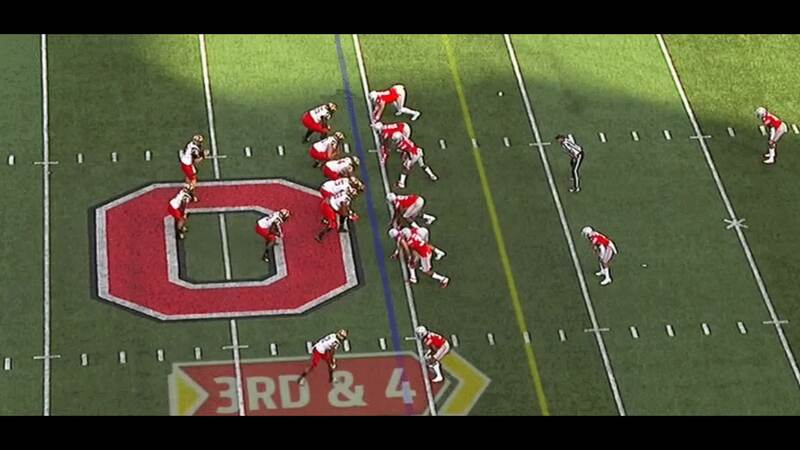 As Bosa speeds around the edge, he lowers his shoulders (dip), squares his hips to the quarterback, and dislodges Brown's attempt to grab hold of him (rip) by driving his arm up into the blocker. He doesn't get the sack but shows he has what it takes to beat NFL-caliber talent. The potential number two draft pick also plays with a high motor and high sense of urgency. He can effectively time the snap and get up field quickly in his first three steps on any given play. He has exceptional get-off at the snap. 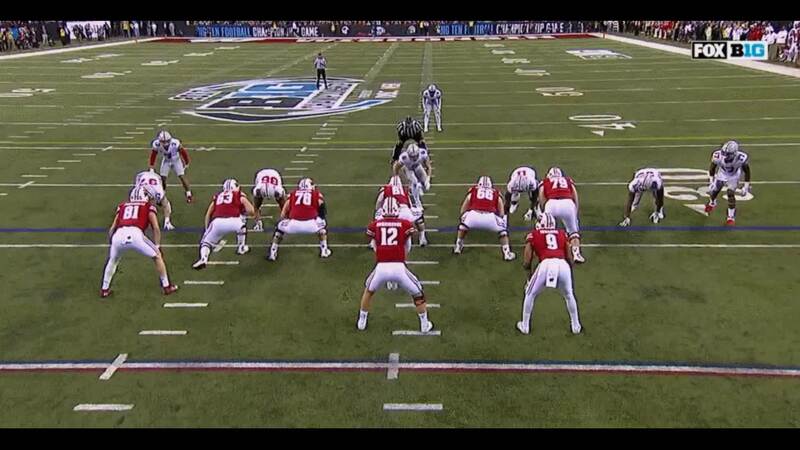 Bosa had some good battles in this game against Wisconsin with NFL caliber linemen. At the snap, Bosa beats the tight end chip with a quick get-off and burst up-field. He swipes away the hands of the lineman and is not phased by the blocker's attempt to impede him. An edge who can bend like this without having to reset his platform as he bends the arc is elite level talent. His best pass rushing rep, after watching all of his snaps, showcases everything above: an effective pass rushing move, strength and speed, and a relenteless motor. Against Michigan, Bosa cross-chops the defender away after getting him off balance with an inside step. 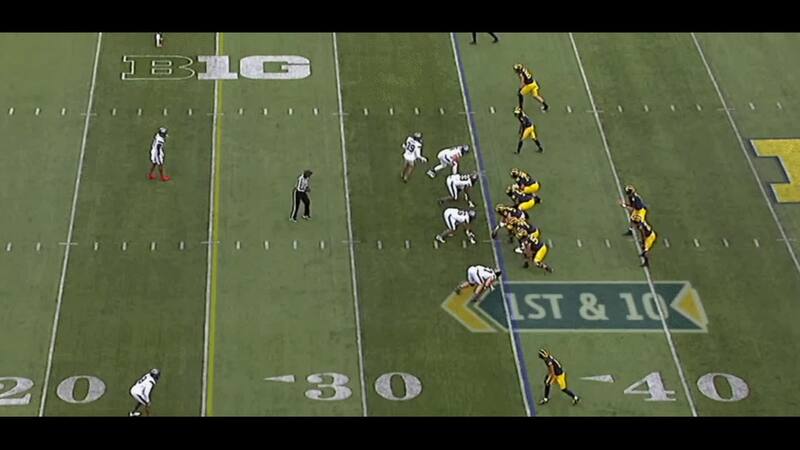 He then runs through the block of the running back, forcing the Michigan quarterback to try and escape the pocket. After shedding the blockers, he pursues the quarterback from behind in traffic and makes the sack. Run defense is becoming less important in the NFL with the evolution of the game into one that features heavily run-pass options and shorter quicker passes plus play action but Bosa is still extremely efficient in run defense. Having a variety of rush moves can get a defender out of a pinch in a split second. Here, Bosa gets pinned inside by the Oregon State blockers but effortlessly executes a spin move to get out of the grasp of the blocker to make the tackle. He also shows off excellent backside pursuit. Bosa is effective at knifing through gaps into the backfield in pursuit of the runner from the backside. Here he executes a swim move to beat the tackle from the backside, gets knocked off balance and still manages to trip up the runner and get in on the tackle. Even when he's not making the tackle, Bosa shows an ability to maintain his run fits and control his gap at a high level by maintaining outside leverage. 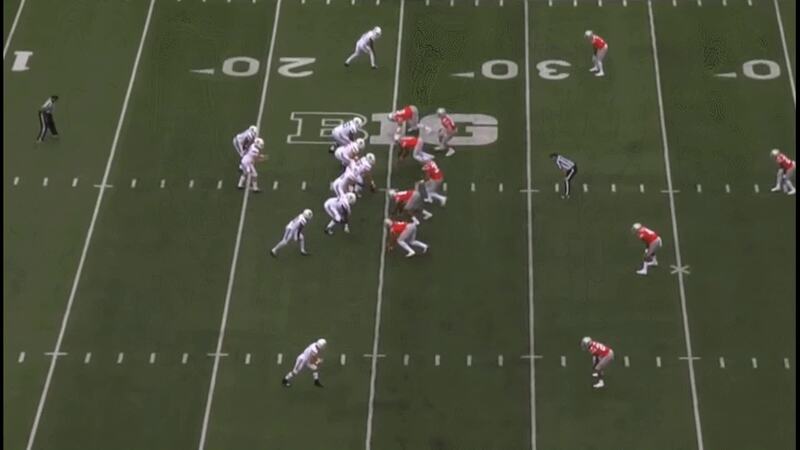 His pursuit into the C-gap spills the runner back to the middle of the formation for a loss. As far as football is concerned, there are not many issues in his game that are worth writing about since nothing consistently sticks out as a problem. His biggest red flag coming out is his durability. He suffered an ACL injury in high school, which puts him a higher risk for reinjury of the same type and as mentioned at the beginning of this article, he sat out most of 2018 for an abdominal injury. It's a fair question to ask about durability but it should not be a concern going forward. He was a full participant at the NFL combine in February and had he chosen to, he could've came back to play in November of 2018 after having surgery to repair his injury. By any measure, his ACL injury when he was younger does not appear to be hindering him in any way. Bosa's fit would obviously be along the defensive front in a pass rusher role primarily but he's also someone who is capable of being a 3-down lineman in a given series due to his ability to also play the run. Even as teams are favoring the pass more than the run on base first down plays, Bosa's immediate impact becomes even more important. Presumably the 49ers are moving into a more wide-9 defensive front against the pass and Bosa can easily play that role as he did so on several reps for Ohio State. 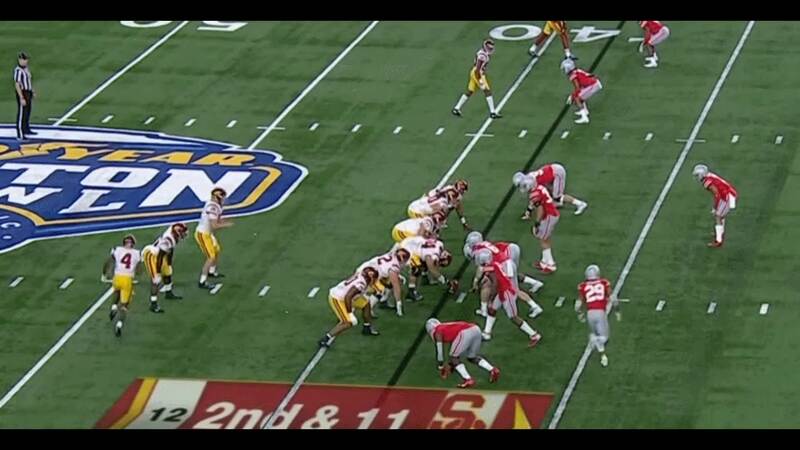 Here against USC in the 2018 Cotton Bowl, Bosa records a sack from the wide-9 technique spot. 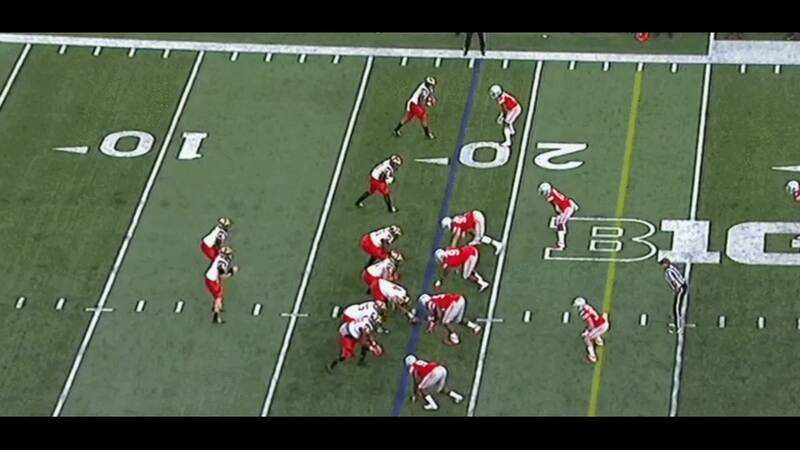 It's a great spot for him to rush from for several reasons: 1) it allows him to translate his speed to power in a more direct line rush to the quarterback and 2) it also give him a split second longer to determine his path of attack. First he swats away the arms of the the tight end after winning the "half-man" relationship and then rips through the block of the running back all while maintaining his power and balance. He gets to the quarterback from the wide-9 spot in less than 2.4 seconds (2.38 to be exact). Bosa is an edge rusher who translates speed to power, has a plethora of pass rushing moves, has the highest win rate among pass rushers since 2014, can play effective run defense and who doesn't really have many red flags, if any at all. He is undoubtedly a generational talent at the position and there is a very good chance the 49ers will take him at number two overall. In fact, Bosa should undoubtedly be the pick at number two if they don't trade out. Anything is possible and they could find themselves having to choose between a non-Bosa pick like Josh Allen or Quinnen Williams, or even Brian Burns if they move back. But if Bosa is there, it's universally believed by NFL personnel and writers that the 49ers will select him number two overall.